Waiting for the right moment to click the shutter is very important in Bird Photography. The split second can mean the difference between a great photograph and a bad photograph. Patience is needed, but the results for long waits will be rewarded. 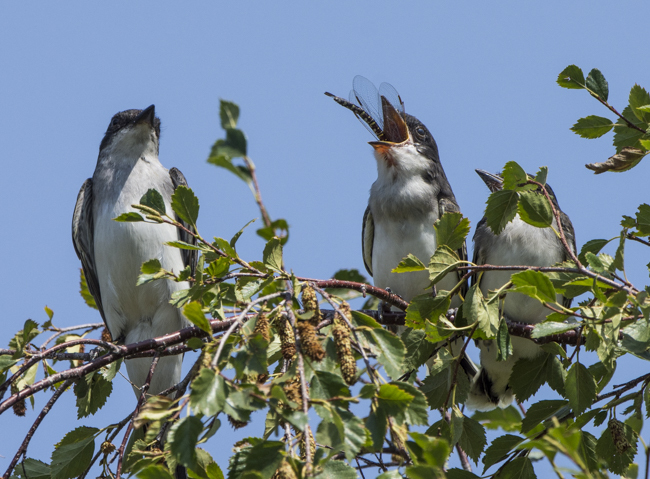 Below is a photograph of a juvenile Eastern Kingbird swallowing a Dragonfly after being feed by one of the parents. I saw the parents bring in food, so I waited and the one parent brought this Dragonfly. 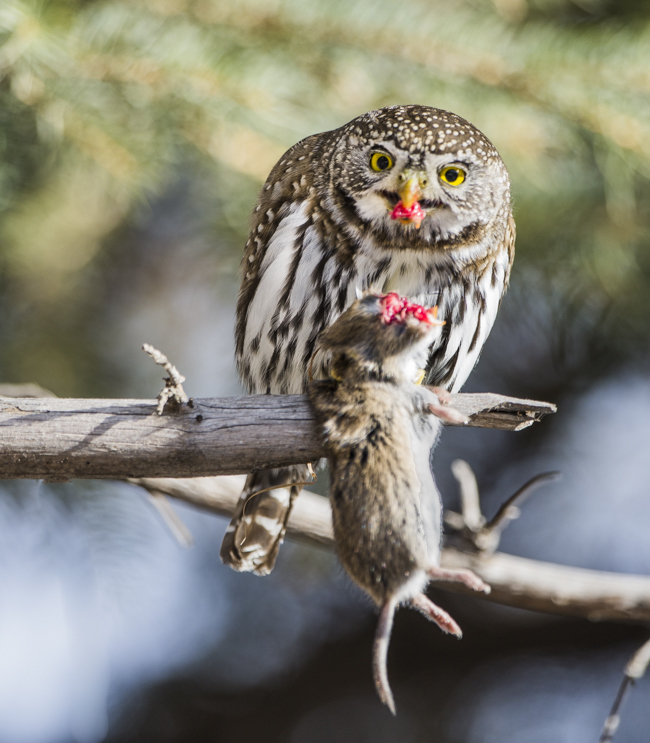 To the right is a Northern Pygmy Owl with a Vole. 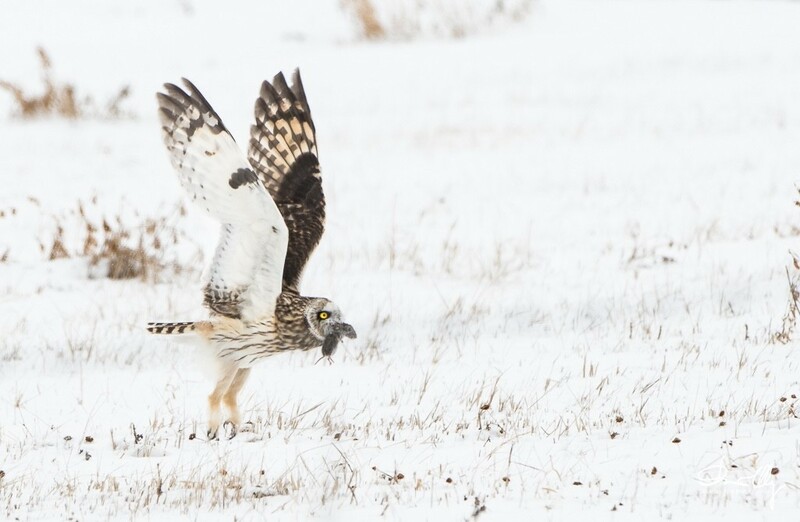 I had to wait until late in the evening for the owl to start hunting. 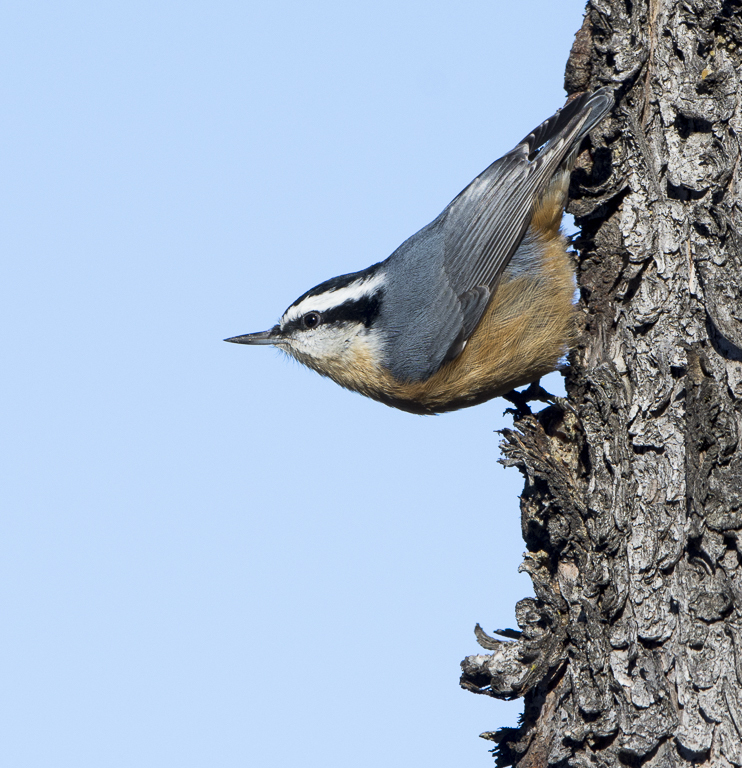 We see Red-breasted Nuthatches almost on a daily basis, but to get a classic photograph of the nuthatch takes some time. Again waiting for the right moment to click the shutter can mean the difference from a bad photograph and a good photograph.